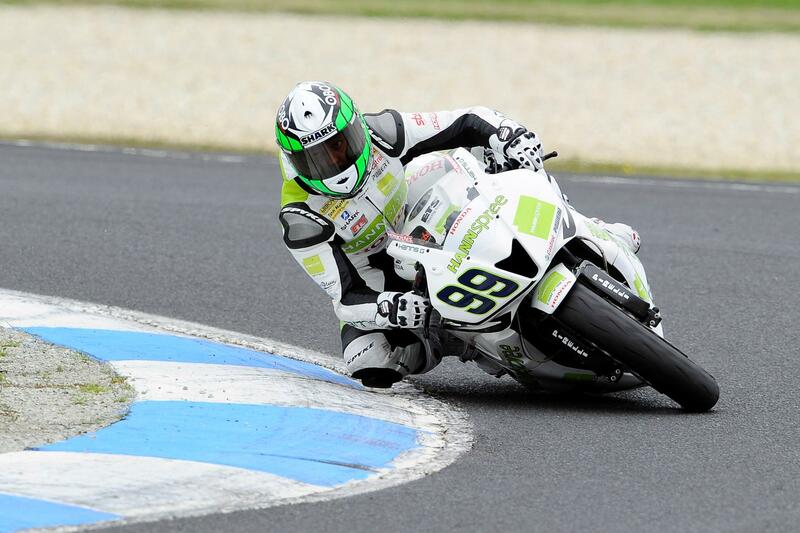 Hannspree Ten Kate Honda rider Fabien Foret picked up where he left off in official testing by dominating the opening free practice session at Phillip Island this morning. Australian Broc Parkes secured second onboard his Motocard Kawasaki with team-mate David Salom in third. Top Brit was Parkalgar Honda rider Sam Lowes in fourth with Chaz Davies in seventh, Gino Rea eighth and James Ellison ninth. 20 V. IANNUZZO ITA Lorenzini by Leoni Kawasaki ZX-6R 1'37.